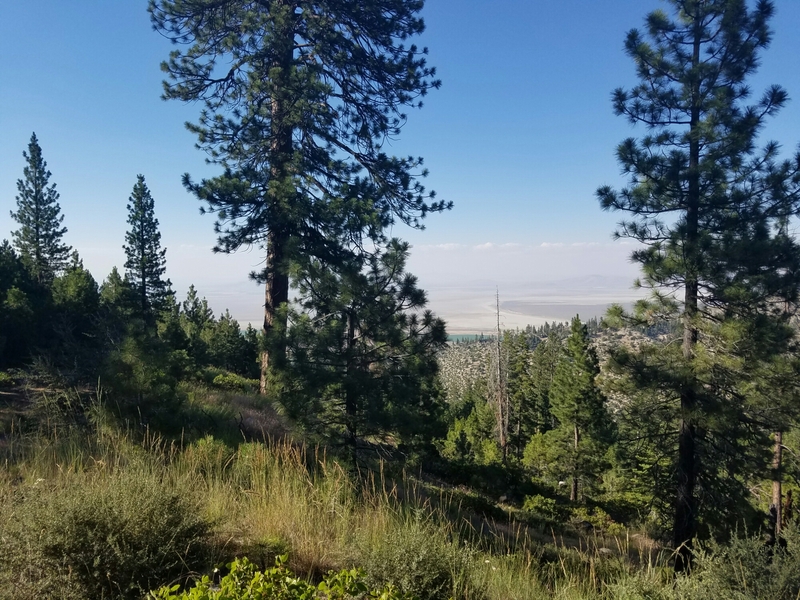 After leaving Portola, Erin and I decided to take the scenic/shortcut route up towards Susanville, through the Plumas national forest, along a mixture of dirt, gravel, and deteriorated pavement. Luckily, it was not a repeat of the ill-fated Ball Mountain road fiasco of last year’s tour (which resulted in us pushing our bikes up six miles of sand and Nick’s bottom bracket evacuating itself). Instead, we were treated to some really gorgeous wide open valleys and practically no traffic at all – maybe 10 cars over 30 miles. The 2000 foot descent on gravel at 10% grade at the end was a bit hairy, though. You can see Nevada from here! 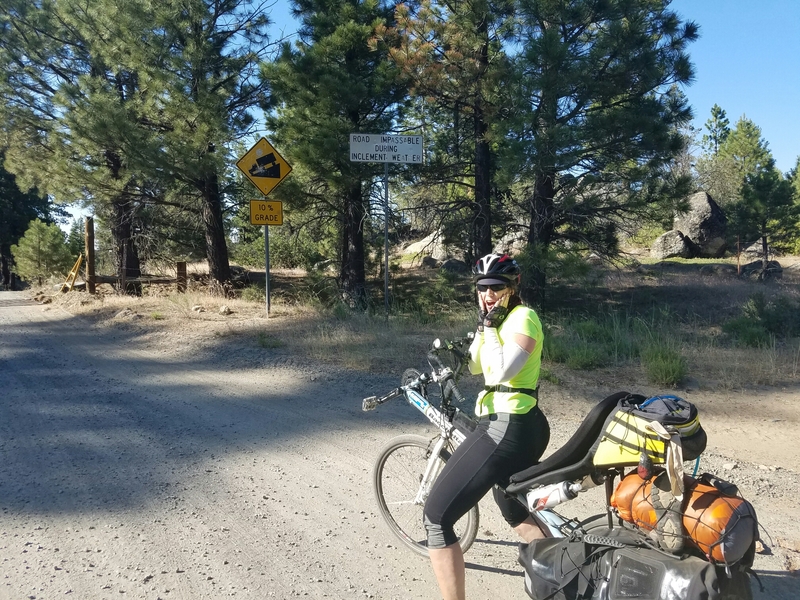 Erin decided to take a shortcut out of Susanville, hitching a ride up to the next campground (and possibly landing a book deal in the process). I took the slow route, riding through yet another series of gorgeous valleys interspersed by amazing vistas. We were clearly out of the Sierras by then, as the climbs were now in the 500 to 1000 foot range (as opposed to being three times that). We then had a pretty easy riding through rolling terrain into Alturas (which had a Thai restaurant! ), and a similar ride into Lakeview today. It’s amazing how quickly you can chew up 50 miles when there’s not much elevation involved. 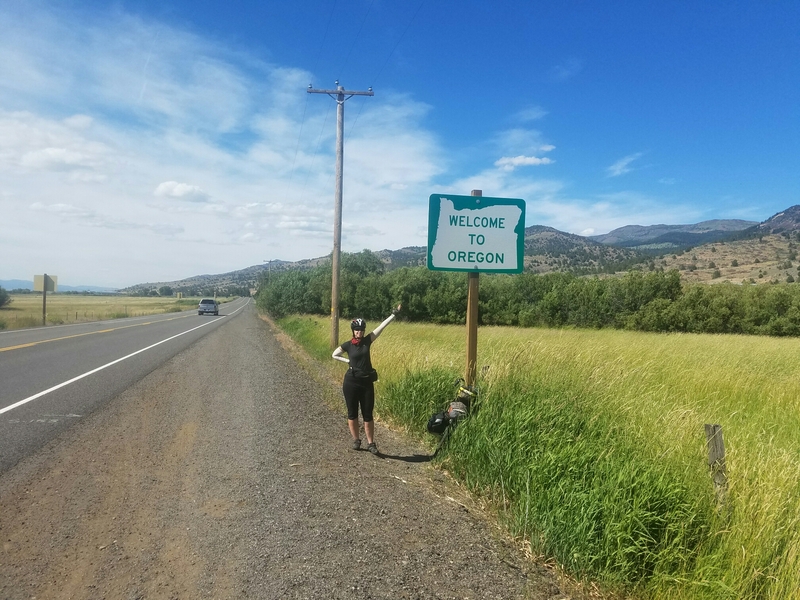 Tomorrow, we veer west towards Klamath Falls – we’ve got just over 100 miles to go! The recum-bum and I are on the final leg of our journey. 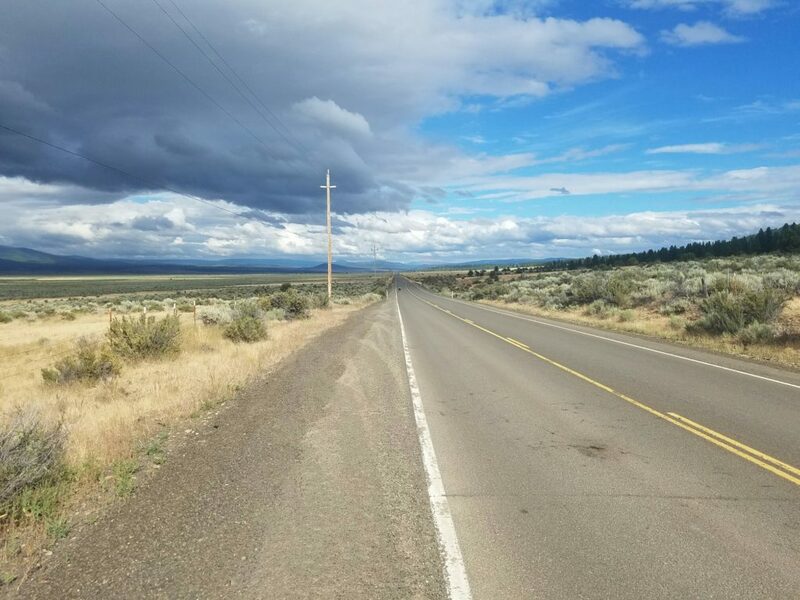 Similarly to last year, as soon as we entered Oregon, the weather did a 180 – yesterday’s ride was overcast and in the low seventies, with occasional drizzle. We were warned by two different people about the two passes we would have to cross, but they turned out to be little more than bumps in the road compared to what we’ve been through. Also, it should be noted that I ate an entire 16″ pizza by myself. 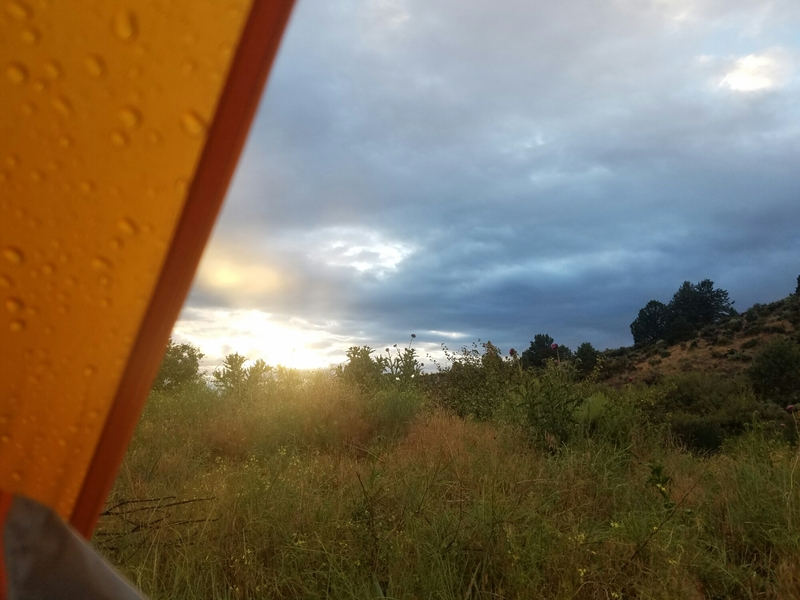 About two miles from our camping spot, the skies opened up, and we set up the tent in the pouring rain – the first rain of the whole trip. The person running the tiny store we’re having breakfast at just told us that it’s forecast to snow up in the hills tonight! 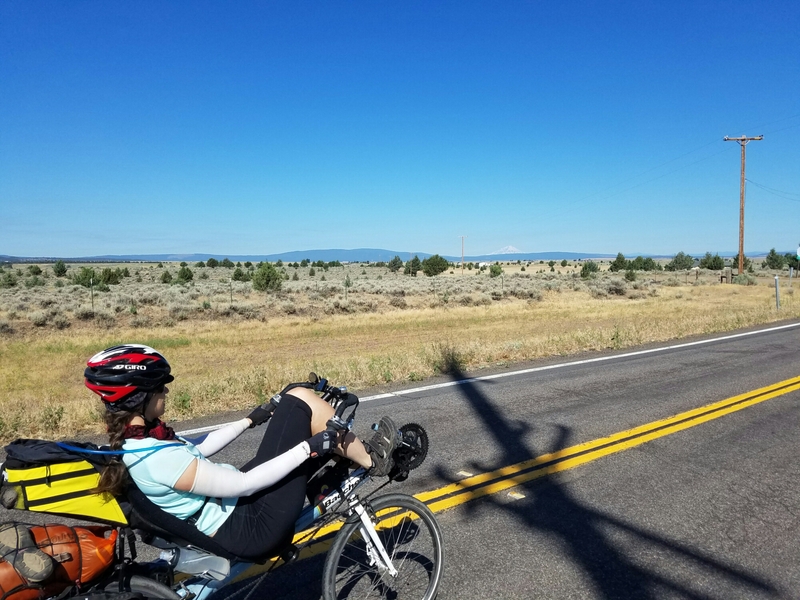 We’re about 50 miles from Klamath Falls, most of which should be on a bike path! Author gregPosted on July 9, 2016 July 11, 2016 Beatty, OregonLeave a comment on Last day!